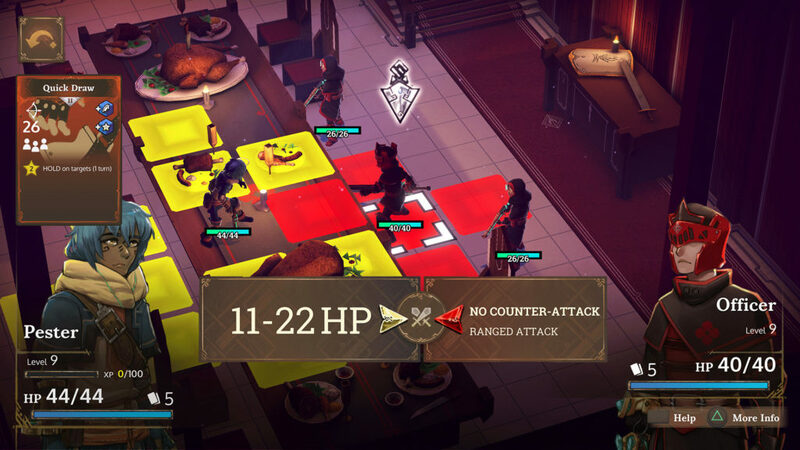 After its success on Kickstarter and getting picked up by Square Enix collective, Children of Zodiarcs finally makes its way to the Playstation 4 and is an interesting Role Playing Game with tactical elements. The game is set in the fantasy realm of Lumus which is facing a big divide between the rich and the poor. Nahmi and her friends are a group of young street kids who turn to stealing from the rich. Along the way they encounter dangerous folks including other thieves, guards and so on. The story gets more interesting as you progress, though I do wish they had voice acting in the game. 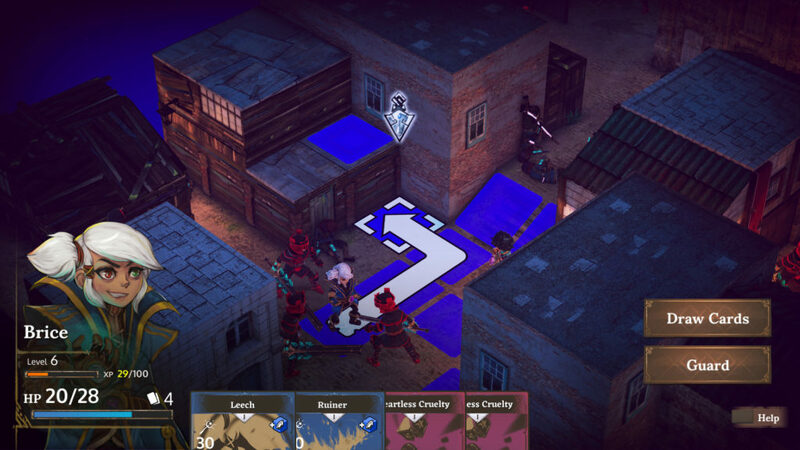 At its core, Children of Zodiarcs is a turn-based game where you control units and execute actions. This is enhanced by the deck building aspect of the game, which gives way to some interesting and unexpected gameplay twists, in part due to the dice rolls. You move characters along grids, like most turn based games, and position them in suitable spots. 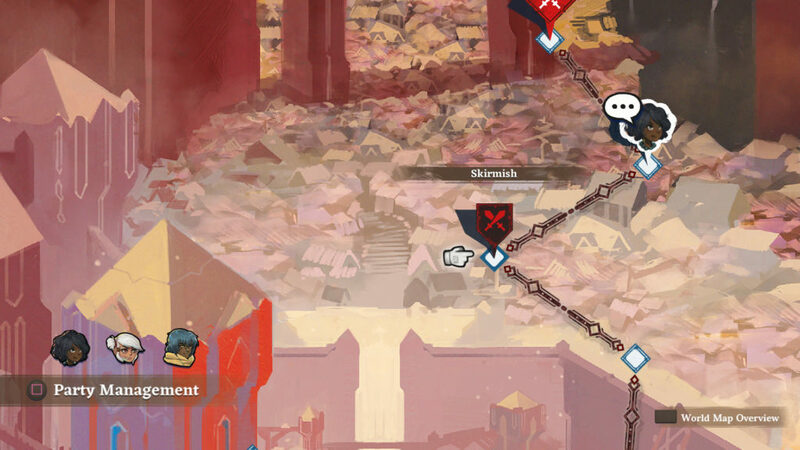 In order to attack, you draw cards and roll the dice, and the final damage is a culmination of the card effects, dice roll and the direction from where you attack. Frontal attacks are least effective, while backstabs or attacks from elevated positions inflict most damage. You also need to be careful of where others are positioned while performing attacks. Teammates who get in the way can suffer friendly fire, and enemies in the way of healing can get healed. This adds to the overall strategy in placement, and can lead to some interesting scenarios. Every character comes with their set of cards, all with their own abilities. The dice don’t have numbers, instead they have shields, lightning bolts, gems, stars, etc. Gems add to attack and healing, shields add to defense, stars activate special abilities, and there’s the red dice that negates points from the final roll. Since different characters have their different cards, they can all play very different roles. 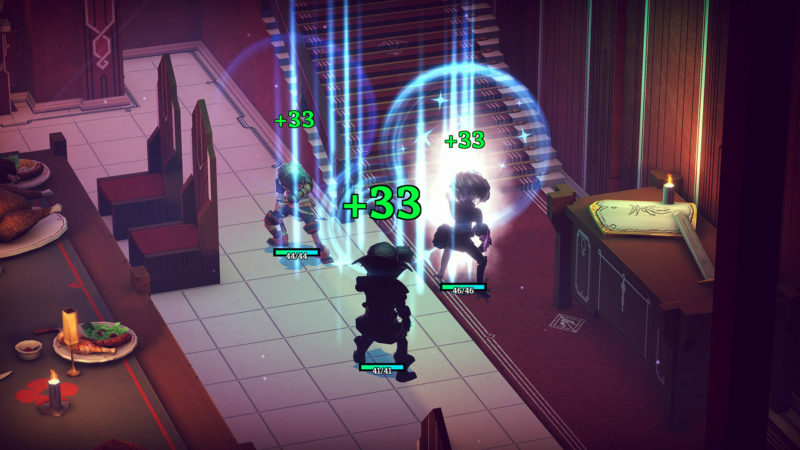 You can even outfit characters with specific cards to have them performing a specific role that you want. You can further customize and upgrade the dice, so as to ensure some guaranteed rolls. Not everything can be predicted or pre-determined however, and there’s always the element of surprise. 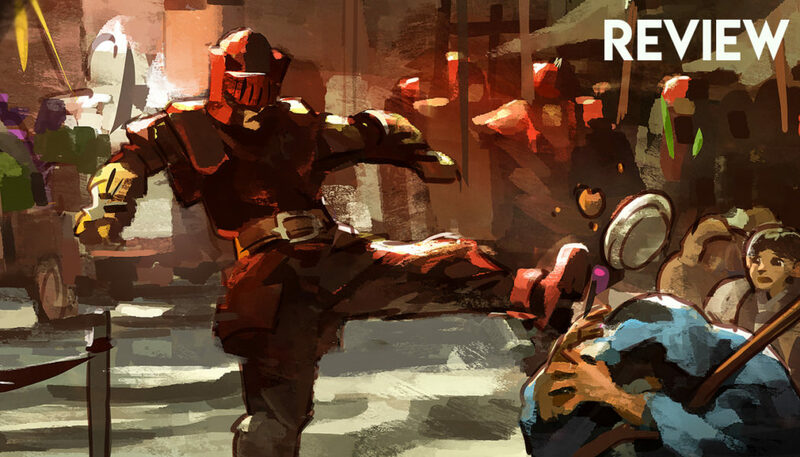 However, as you progress further, you do feel like you are implementing better tactics as you get a hang of customizing cards and dice to your advantage. I just wish that the game’s visual design were stronger. Some of the visuals can look dated and there are frustrations with the camera angles. None of these aspects are a deal breaker, but would have added substantially to the game’s appeal. 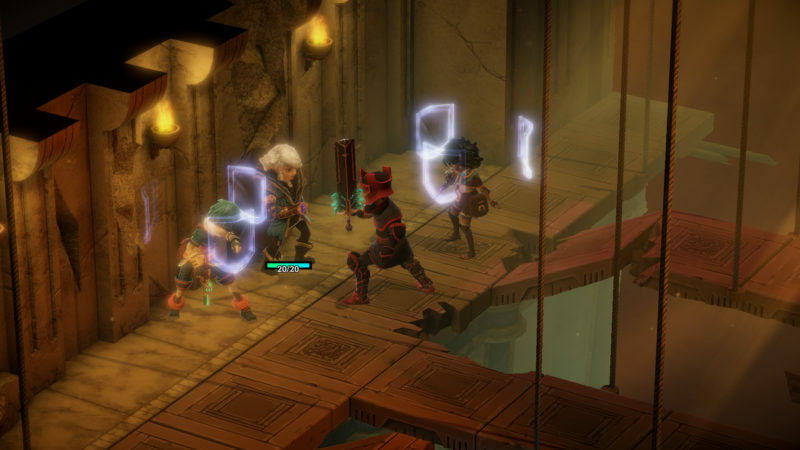 Regardless, Children of Zodiarcs is a really enjoyable game, with tons of unique and interesting gameplay elements with even more depth. Getting a hang of everything will take time, but all of that time playing the game is a satisfying and fun experience.